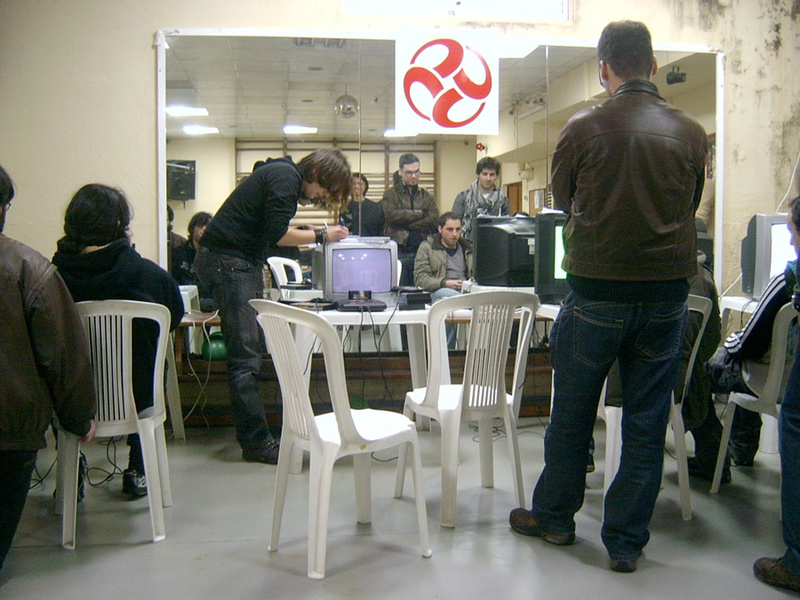 On the 27th of February, 2010, nineteen warriors gathered again to compete on yet another tournament out of friendship and competition, and for the vacant places for the Portuguese team of 2010. 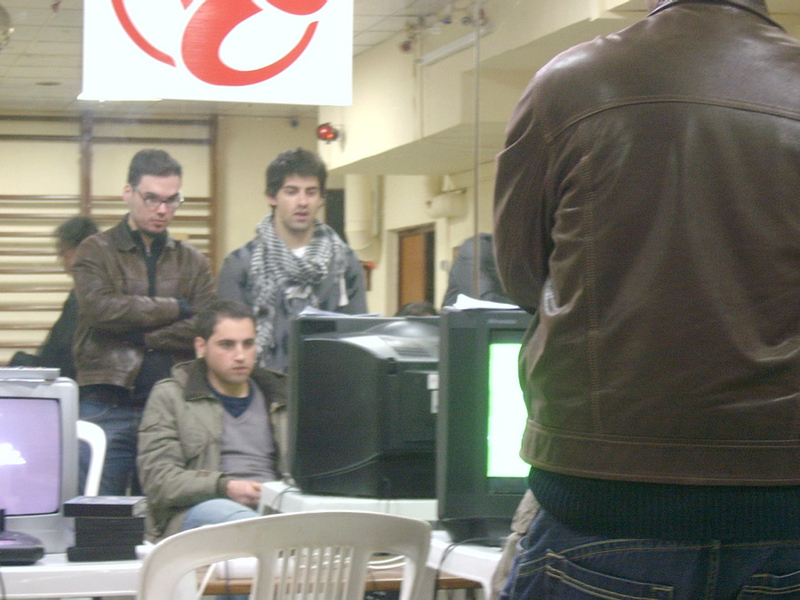 It was the first time that I did not organize the tournament, since this year João will be in charge of two tournaments, as he has been willing to do so for quite some time. The scheme he came up with is fairly interesting, but very demanding, for the slightest slip will leave us no chance to advance! 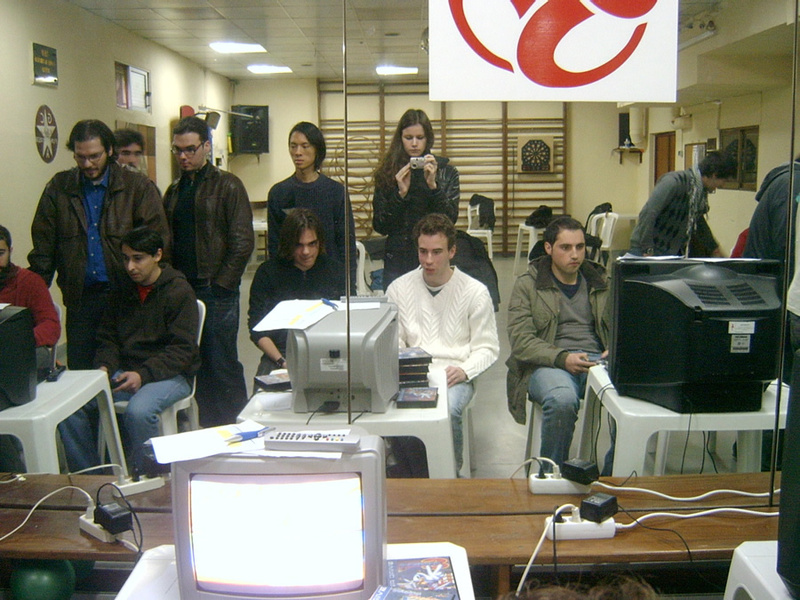 The fourteen players from last year were present this time around: me, Dário, Pedro B., João P., Ferdinand, Arsénio, Luís X., Fátima, Pedro M., David, Armando, Orlando, Hugo and Joana H. Also, there were two returning players from previous years, Jorge and Maria; and three newcomers: Pedro “D” Mendes (a user from the forum ptfighters), Ricardo Carvalho (Pedro Bragança’s friend) and Tiago Figueiredo (who I came to know because he is also a big fan of the Mega Drive). Looking at the current roster and the kind of tournament that was going to take place, clearly, from my personal point of view, Dário would be the great contestant for the final victory. This would be in no doubt due to his skills, his performance and the intelligence he always employs when playing. I knew I would have difficulties passing the group phase, with Mega Bomberman being worth seven points (a game where I clearly would get 0). It would be difficult, by myself, to surpass all others to arrive at that game with an advantage of over 7 points! 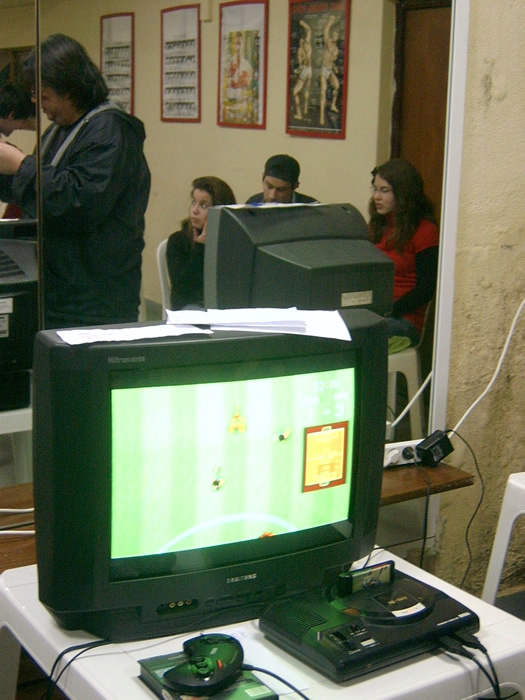 Due to the fear that the tournament would go on for too long, this time four televisions were used, as well as four consoles. 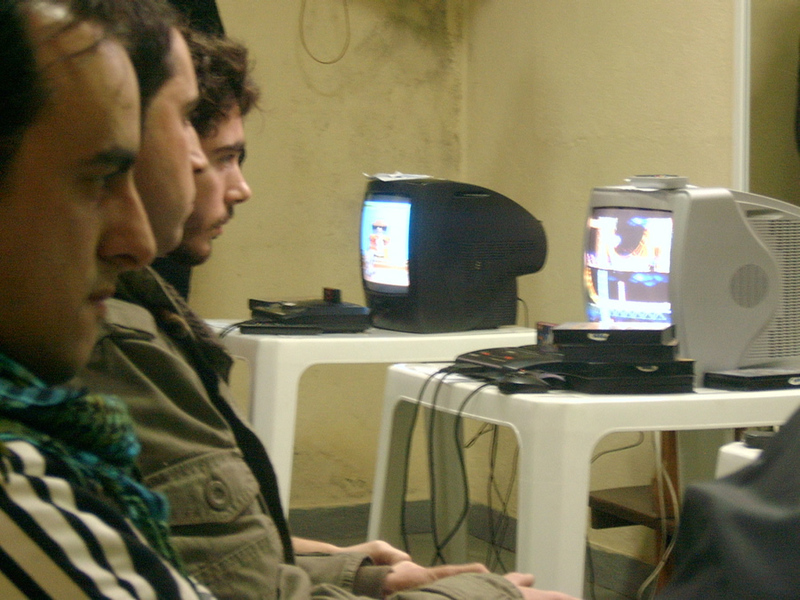 Each group had its own TV, and so it went quite smoothly, with out major stops or delays! The only disadvantage experienced with this system is that we ended up “stuck” in our own little group and could see little to nothing of the others! The random pick dictated three groups of five players and one group of four. Clearly, the first three groups were far more balanced than the last one, where things had a more “decided” look. This group presented two points of interest: to see how strong Jorge still was, and to realize how Fátima, David, and I were going to defend ourselves. Joana came in as a outsider who hardly had any hope of winning. Two players gave the best performance with their games: Jorge and Fátima, who lost none of their matches and showed just how sharp they were in their choices (as well as Jorge demonstrating that even without training he is a contender to be reckoned with). Joana lost all of her games, and I lost one to Jorge! David, with a terrible choice of games, ended up qualifying me, for he beat Fátima but lost both to me and Jorge, who eventually rose to first place of our group. Fátima and I had to go break the tie by means of… Micro Machines, where I managed to achieve victory rather naturally, but also where we could already see how demanding the system was: Fátima had won all of her games, plus one from Joana, and still did not pass!! I believe that the big point of interest of this group was to see how Armando would tackle the two favourites (Dário and Ferdinand), with Orlando looking for any possible slip ups. Curiously, the three won their games, and scored victories over Maria, who by knocked Orlando out of the race. In his game against Orlando, Armando lost, and both of the top spots held on to their victories, affording them a tie and the qualification for the next phase. 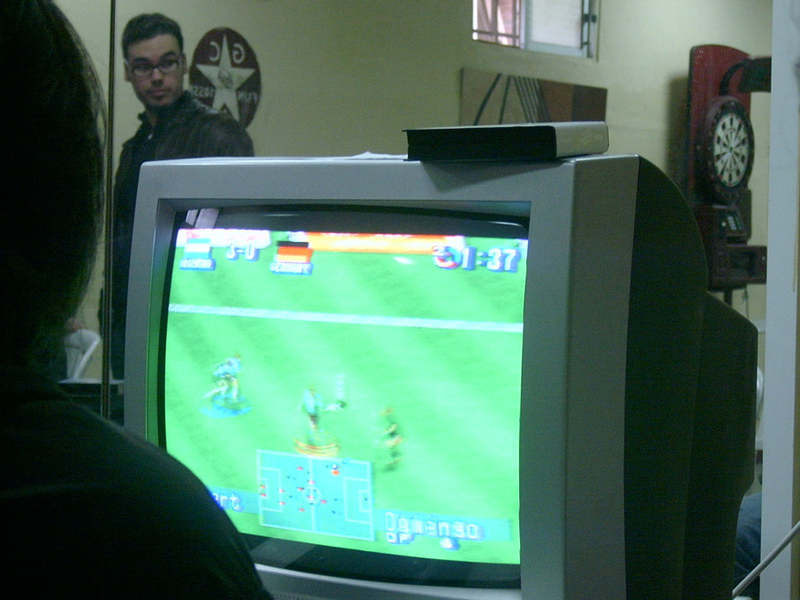 In the ensuing battle for the first place of the group, Ferdinand got the upper hand over Dário in Mega Bomberman! In this group, things seemed sorted out, and it appeared that there would be no great surprises. 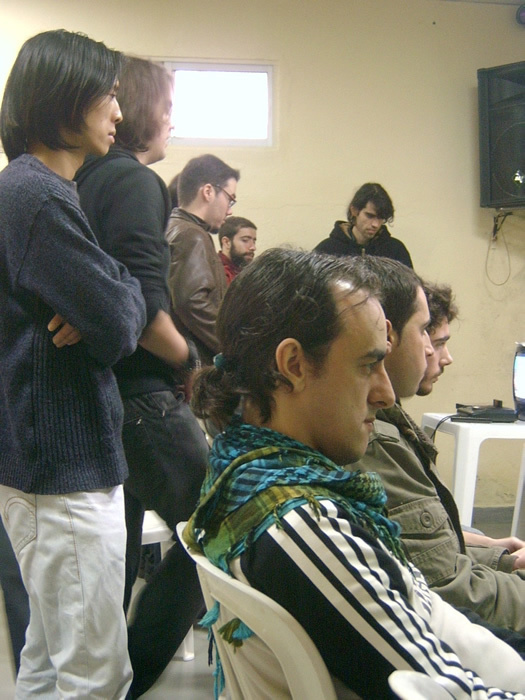 That being said, Hugo had yet to prove his true potential, and Pedro looked like all his credentials were in fighting games, since he did not look prepared in all the other types of games. So, Luís ended up wiping the group out, placing João in a tight spot (though as expected, he managed to pass), leaving Hugo and Pedro behind with their handicaps quite obvious. This was perhaps the most interesting of the four groups. Everyone knew Pedro B. and his frailties, and all the other contestants seemed to be at the same level, with promises of great training from the two newcomers. And so it went, even though Tiago was not as strong as he had hoped, all the others fought until the last minute. However, Arsenio and Pedro’s B.’s experience proved crucial, allowing them to knock out the other two players, who in any other circumstances would have qualified. After everything was finished, we went to lunch. So ended a tournament where the seeds defended themselves very well, and where only Fátima end up behind due to the returning Jorge’s performance. There was some frustration in the air from those who won so many games and still did not qualify, Ricardo being the one who looked the least satisfied. It was good to see this kind of spirit, for it was without a doubt a most competitive tournament. We could even make three teams to go to the European championships and fight for the title. What made a difference was the player’s abilities to adapt to any type of game and to learn from their opponents games. The first great test for Dário was fast approaching. For we all knew Luís’s tricks of “I don’t hit clowns,” and it would be something to behold. 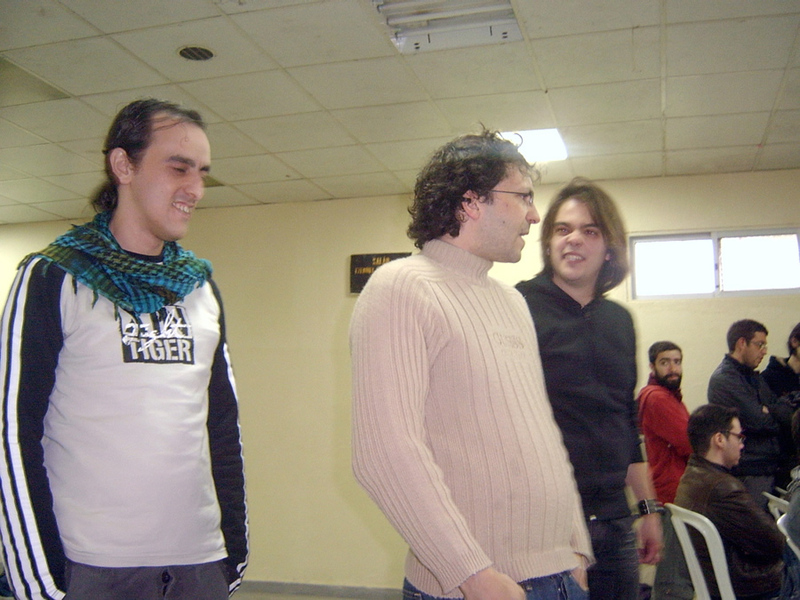 Jorge was a wild card, and Arsénio is not known for his command over four-player games. A game without science, mash to win! 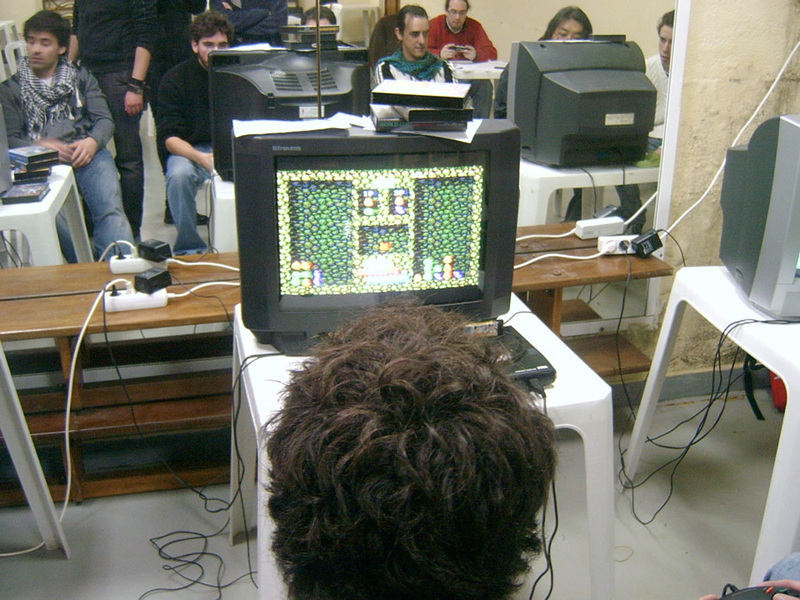 Dário beat Luís, gaining the one point that would be needed later on. On the first run, Luís teamed up with Jorge and managed to put Dário out. The one to win from it all was Arsénio, who managed an absent second place, but the partnership granted Jorge last place! A game very much like the previous one, but it left Jorge out from the race for first place. He who learns never forgets, and Jorge literally wiped out his opponents. Without the tag team against him, Dário achieved an easy second place. 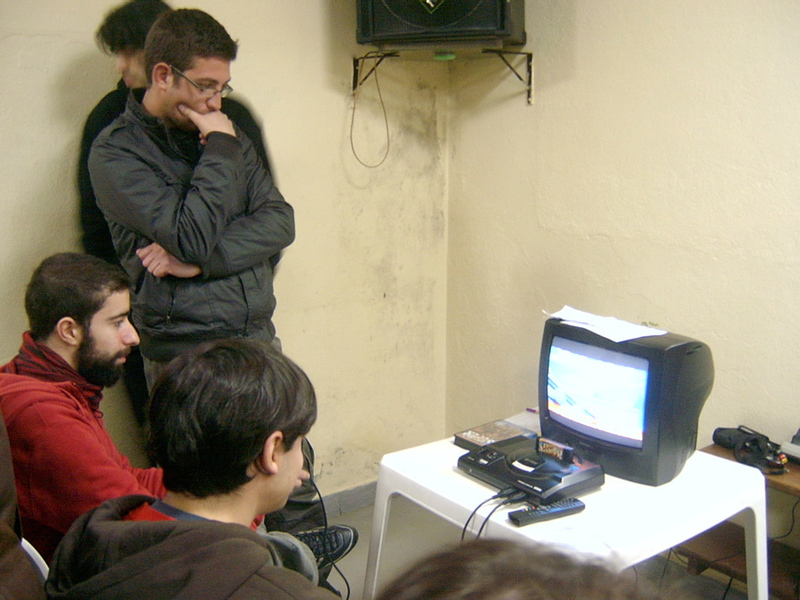 Dário was unstoppable in Micro Machines and took advantage of the fact that Jorge defended himself, putting Luís in last place to win the game without even completing a lap on the race! Amazing! In an astounding game to behold, Jorge and Luís tried everything in their power to put Dário out of commission. However, with a cautious step and great intelligence, he finally achieved second place, placing high enough to qualify for the next phase, thanks to the one point he had won in the very first game! I got off to a terrible start, and after a few turns I was already below zero points. I had to really focus and begin to regain step by step, but I couldn’t stop him, and after the fourth or fifth match point he really won. I got second place. Point lost! When I was about to kill João he decided to throw himself into a black hole and lose, affording me no points and granting me a third place finish behind Ferdinand for… one point!!!! I’ve spent far too many years playing with Fátima, the queen of Street Racer, to not completely dominate. On the last track, already with the victory in my pocket, I tried everything to put Ferdinand in last place, but neither Pedro nor João are great driving aces, and they weren’t able to take advantage of it! I was completely robbed! I didn’t manage to drive the hovercraft once and ended up in last place with zero points!! In the finals, we had Dário vs. Ferdinand. The way I see it, Ferdinand “drafted” wrongly in his second game and soon enough the champion was decided. Congratulations to Dário for the conquest, to João for the organization, and to everyone else for the friendship and competition.